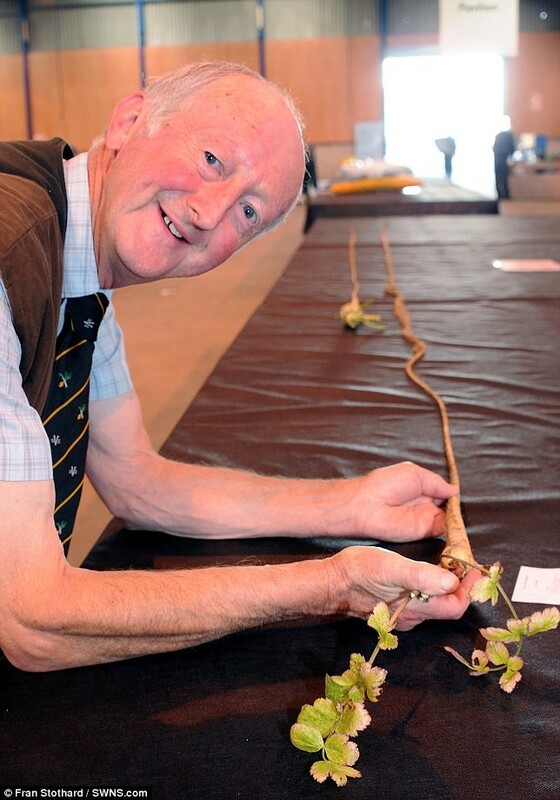 A British man has grown the world’s longest parsnip measuring an incredible 18.5ft – or 5.607 metres, 36 times the length of a normal parsnip. Amateur gardener Peter Glazebrook’s unveiled his super-sized parsnip at the UK National Giant Vegetables Championships in Somerset England. The super-sized parsnip If cut into normal parsnip length of six inches would be enough to make 25 bowls of Jamie Oliver’s spicy parsnip soup. 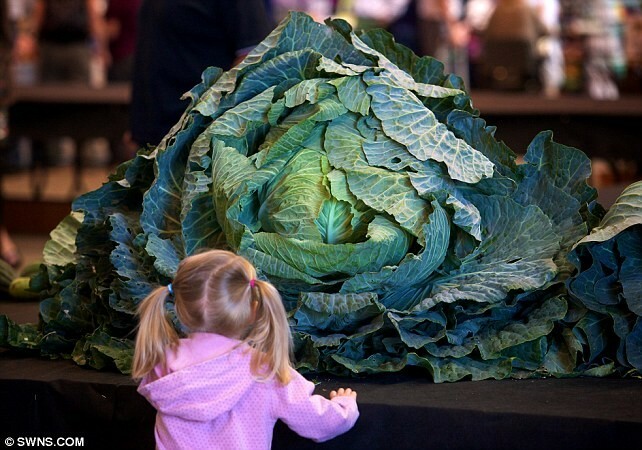 68 year old Mr Glazebrook, is a bit of a star in the world of oversized vegetables and has previously held world records for the largest potato (8lbs 40oz) the heaviest parsnip (13lb), and the longest beetroot (21ft). Mr Glazebrook has a special technique to achieving his record breaking parsnips. “I grow them in pipes attached to the gable end of a barn so they grow downwards and what happens is the parsnip grows long and thin” he says. 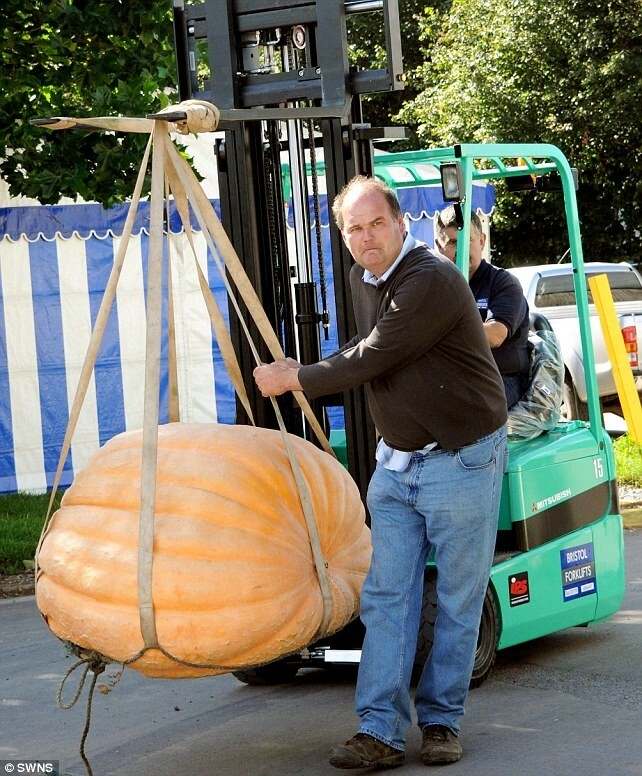 Dozens of competitors have entered 204 vegetables into this year’s UK National Giant Vegetables Championships – from pumpkins to cucumbers – so large they have to be hauled off special trucks with a forklift. Its a bizarre sight to behold. Holla, how does this guy do that? Bloody big veggies.